Frontierado is Friday, August 5th! 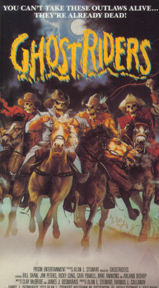 For a change of pace I’ll give a brief synopsis of western-flavored horror flicks. In keeping with my blog’s theme of covering out of the way topics I won’t be examining movies that are too well known, like Billy the Kid vs Dracula, Jesse James Meets Frankenstein’s Daughter or The Terror of Tiny Town. Ditto for more recent movies like Sundown and Billy The Kid In Hell. As for West World and Welcome to Blood City, those are more science fiction than horror, so they aren’t included either. BLACK NOON (1971) – Roy Thinnes stars as an old west preacher who falls in with a coven of witches in the town of Melas (Salem spelled backwards of course). The witches tempt Thinnes into thinking he’s a prophet and healer, then use his vanity against him and his wife during their dark ritual of the Black Noon, which takes place during a mid-day eclipse. Rob Reiner’s character Meathead struggles to deal with the fact that his worldview is FIVE DECADES out of date. All in the Family: The Next Generation, the brand-new sitcom from Glitternight Productions debuts tonight. Cult director Eddie Wozniak strikes again with this controversial update to the original 1970s series which blended the standard family sitcom format with a nearly Ibsenesque examination of social and political issues. Whispering Smith was born in 1838 and by 1860 was making a living as a riverboat gambler up and down the Mississippi, where he acquired his famous nickname. He had his first gunfight in the form of a duel with a gambler named Larry Boyle on the Belle of Memphis. When the Civil War broke out James joined the Union Army, as did other future gunfighters like Wild Bill Hickok, Bear River Tom, Long-Haired Jim Courtright and others. Dr Mensana in one of his two super-powered forms. Origin: Sporting both an MD and a PhD the good Doctor Mensana used his unrivaled genius to create pills which could make him super-strong AND endow him with telepathic powers in addition to even greater intelligence than he already possessed. William Hill offers you betting on virtual football and other sports. The unusual aspects of the benefits brought to us all via the internet never cease to amaze me! Not only are you now able to keep track of the teams you love almost anywhere in the world but you can enjoy everything that goes along with the sports world! Frontierado is coming up on Friday, August 5th! 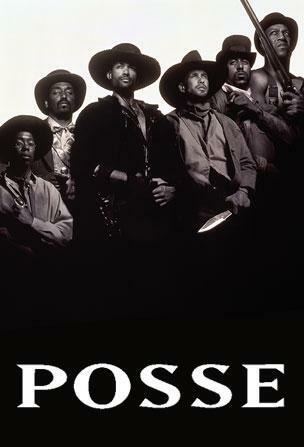 POSSE is a terrific western about a gang of African American gunfighters (plus the goofiest Baldwin brother) involved in an action-packed epic journey across the American west. The Frontierado holiday is the perfect time of year to hunker down with this film while drinking a Cactus Jack or a Deuces Wild or two. I’ll review the recipes for those mixed drinks in a few days, for now we’ll focus on this movie on our countdown.